August 2, 2009, several private airlines in India reported to the Ministry of Civil Aviation that they would go on strike August 18, 2009, in protest of rising government fees. Those airlines included Jet Airways, Kingfisher, SpiceJet and IndiGo Airlines. The carriers also stated they would not pay their vendors for services and this strike would leave over 100,000 daily air passengers without transportation. The strategy is to put pressure on their creditors such as oil companies, airport operators and passengers in return placing pressure on the Indian government. Following the threat of a strike the Indian government warned the air carriers of "appropriate action" against those who disrupt passenger schedules. The Federation of Indian Airlines (FIA) a lobbying organization informed the Civil Aviation Minister Praful Patel Ministry of Civil Aviation that unless the government helps them by lowering taxes on jet fuel and bringing down airport charges, their survival is in doubt. The airline strike has been timed to coincide with the bailout discussions that are taking place between the Indian government and struggling national carrier Air India. The Indian government last week asked the Finance and Petroleum Ministries to help Air India. It now appears the warning issued by the Indian government on Friday, "appropriate action would be taken to those air carriers who go out on strike August 18th" may have forced those air carries to have second thoughts. 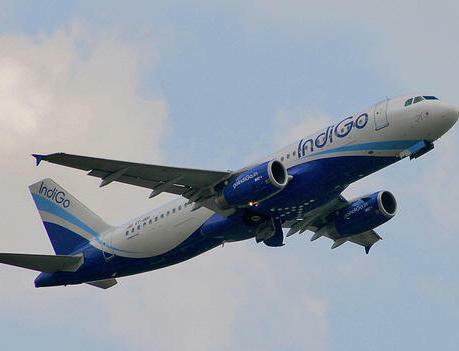 On Saturday IndiGo Airlines reported it would be operating on August 18th on it's regular flight schedule. IndiGo Airlines President Aditya Ghosh said in a statement. "IndiGo appreciates the sentiments expressed by the Ministry of Civil Aviation that it understands the problems faced by the Indian aviation industry and that we should all engage in a dialogue with the ministry" Just after Indigo Airlines decided not to follow through with the August 18th air carrier strike another carrier, Spicejet decided it to would not participate in the strike as well. As a result The Federation of Indian Airlines (FIA) which gave the strike call last Friday announced in view of the "agitating public sentiments" and the potential inconvenience to thousands of passengers and the government's "willingness" to enter into a dialogue it is calling off the strike. There is no word if Jet and Kingfisher will go out on strike.